the appreciative crowd at the malasimbo music and arts festival was calling for more after jeck pilpil & peacepipe performed their last number. a manila-based reggae band, they were eager to get off the stage to allow a reggae legend to perform, but i shouted: "jimmy cliff can wait!" they returned and sang a few more songs, which really served to oil our growing excitement. in the brief pause before the grammy-award winner and inductee to the rock & roll hall of fame came out, i looked around at the throng that had gathered around a small stage, most of whom were on their feet, and some sitting on the soft grass of the terraces that curved behind me. i reckoned there must have been close to 2,000 people there that night. i quickly did some simple math. assuming each of these people paid P1,800 to attend the festival, i doubt whether it would still be enough to get someone like jimmy cliff and his entire band to this mountain venue, in puerto galera, on the island of mindoro, in my country, the philippines. the following day, i got to speak to a man who was involved in organizing the event. he gamely volunteered information that his home hosted the headline performers for this year. i asked whether he was at liberty to tell me how much it would cost to bring jimmy cliff and joss stone into the country, and he flatly said he can't, but he did say the people behind the festival weren't necessarily making lots of money. in fact, they may be losing, financially. 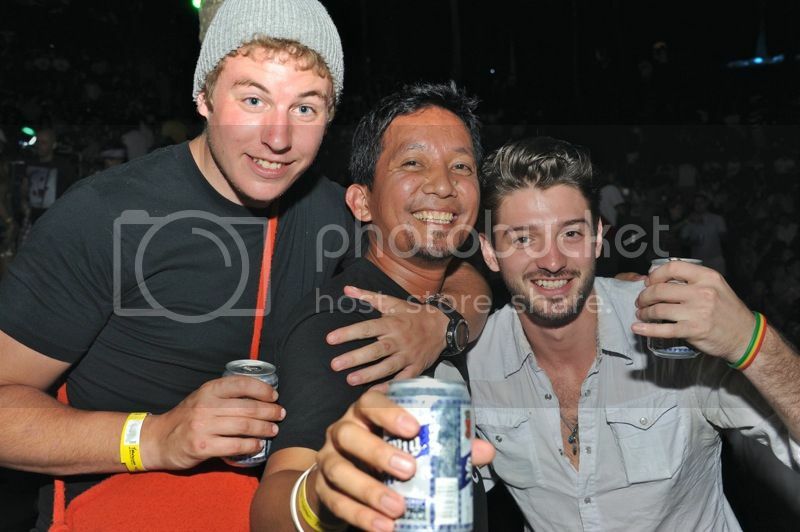 the little they earn comes from selling P100 beer cans, which this year was thankfully sponsored by san miguel. it is my second year to attend the malasimbo music and arts festival. last year, i couldn't drag anyone i knew to join me, so i decided at the very last minute, to wake up early the following day and take a bus to the batangas pier. this year however, i had already penciled it into my calendar and bought two festival passes on the first week that tickets became available. 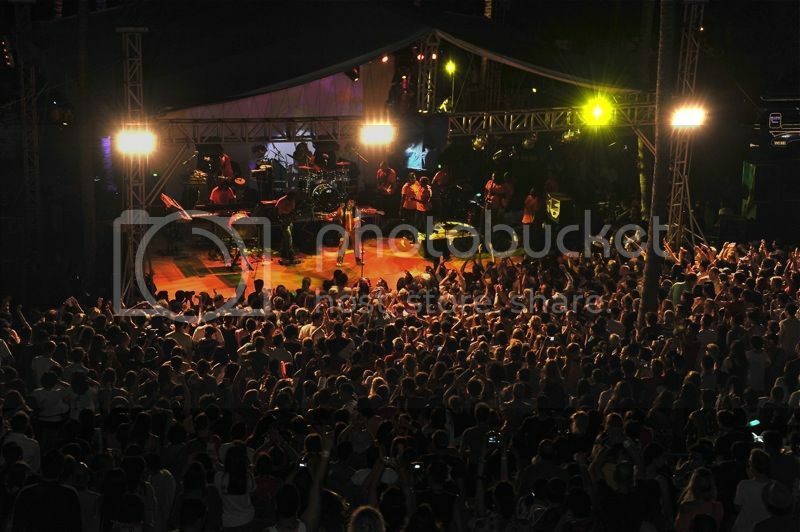 a lot of people showed interest in it, particularly when they heard that joss stone was coming. yes, joss stone, whose music i was already listening to even before i passed the bar. my first iPod had her entire discography at the time. but honestly, i had already planned to see the festival even before i knew that she was coming. on the other hand, a lot of other people are more talk than action, and they ended up deciding not to go, ticked off by the hefty price tag. i reminded them that while the trip to malasimbo is expensive (sometimes, unreasonably: P50 for a corn on the cob), the experience can't quite be measured by its cost. last year, i went without bothering to know which artists were going to perform. i just wanted to be there, regardless of my feelings about what it meant to be there. when sarah meier told the crowd that joe bataan was up next, it didn't ring alarm bells in my head. i didn't know who he was. but his performance blew me over. i felt a little pretentious being there, wanting merely to be in the moment and to be able to say i was at possibly the coolest event south of manila, but i so tremendously enjoyed the experience that i wanted to return. people who read my blog entry began complaining about why i didn't bother to invite anyone. it is mostly these same people who say they'll go but don't ever get around to getting a ticket. this year's malasimbo experience was made even richer by the attendance of more than just myself. with the help of TNF which provided the organizers 20 big fat frogs to accommodate artists, volunteers and security, i pooled together 4 more of my friends to help oversee the campsite, which was moved closer to the festival venue. last year, campers were ostracized, kept in the margins. having attended only one evening in the previous year's version of this festival, i can't make an honest comparison of this year's line-up, except for the fact that the artists headlining the performances are heavyweights. which is not to say that for 2012 the pickings were light, where musical talents were concerned (what i enjoyed most from then were paul zialcita's percussion performance and the beats of brigada, whose bodies of work weren't known to me prior to my attendance); only this time around, they were flying in some bigwigs. what i can say though is that they had a leaner set in this year's edition. previously, when i entered the festival venue at a little past 5PM, someone was already performing on the stage. 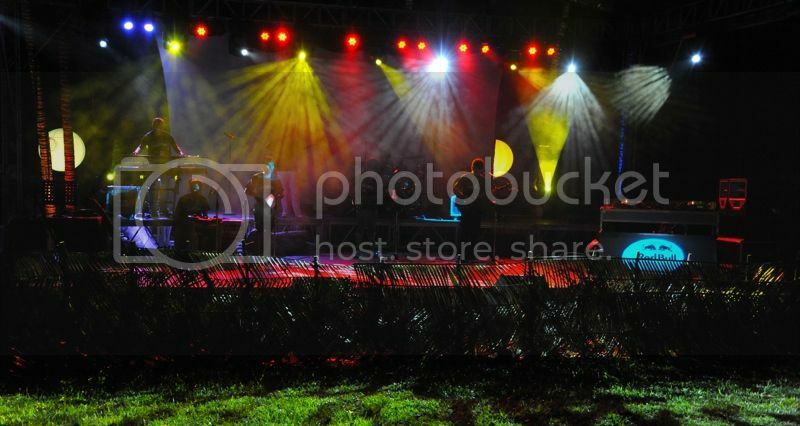 on the saturday that i decided to look at the area while we still had sunlight, there was just a sound check going on. also, the performances ended (not abruptly) at 2AM, perhaps because it may be unfair to expect a spirited performance from any band when the crowd wailing and dancing during the previous acts has thinned. 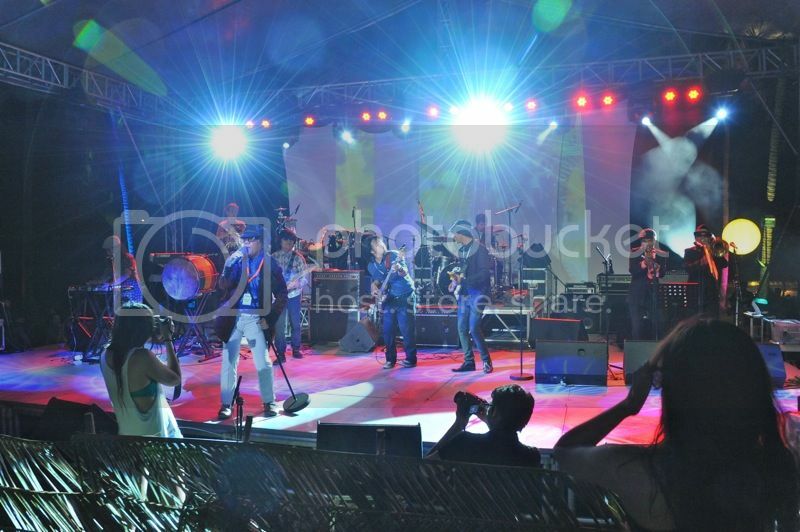 in the 2nd edition of malasimbo, an average of 15 groups/artists performed on the main stage while parallel performances took place at the mangyan village. for this year however, there are only 7 featured peformers, some of whom simply don't play the kind of music that appeals to me. 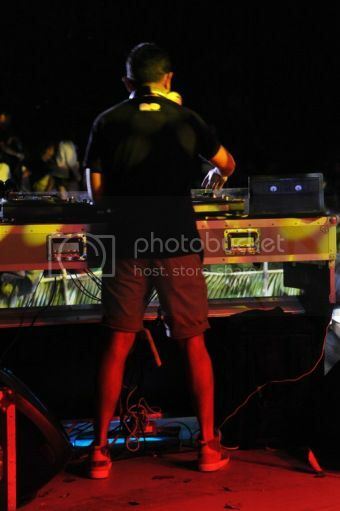 for example, i didn't really enjoy a few of the DJs, and similarobjects and its experimental full band set-up just didn't connect with a lot of people, including myself. there also was an alarming absence of percussion groups, no wild drum beating going on and the electrifying, almost confused dancing that follows it. but there were some stellar surprises. i have never heard of any of these groups before, nor listened to their music even accidentally, but they had quite a way of encouraging a crowd whose buttons were just waiting to be pushed. jazlagiba, a davao-based group was subtle, and despite its pianist's gratingly-bad grammar ("do you know who these band are? "), they served good jazz music on an otherwise slow friday evening. the flippin' soul stompers came out decked in sweat-inspiring costumes, but they could have performed half-naked and still drip buckets because they were just so full of energy. my colleague told he came just to see them; he’d been following their career on youtube and was quite eager to watch them live. 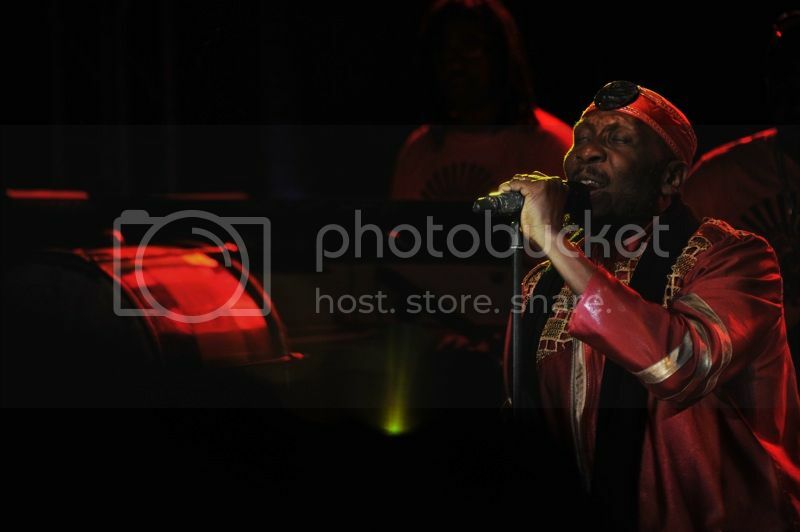 i have only heard of jimmy cliff when other local reggae artists decide to sing his songs but i will confess i know little of his (apparently massive body of) work. these strangers i met while waiting for him asked how old he must be and wondered whether he’d come rolling in a wheelchair. i laughed not knowing the answer. but when jimmy’s crew finally took the stage, and he appeared in matching shiny purple shirt and pants, all bets were off, and it was just a huge party. i know i had such an amazing time during his fantastic set (he obliged 3 encores! the crowd would just not let him go home) because for much of it i was in a daze, raising my hands up, prancing and jumping, pointing my finger to the stage screaming: you can get it if you really want it! the entire malasimbo must have been thumping while jimmy cliff performed. which was very different a day previous when grace nono and bob aves were on the stage. i felt a little awkward at the time because i was the only one dancing so close to the stage when grace began her litany of chants. the music was all new to me; i’d been listening to her since my undergraduate days in UP diliman, and watched her daughter tao aves perform so amazingly in “orosman at zafira”, but that night, they enchanted us with musical interpretations of my heritage, lost or otherwise. quest, who had the crowd jumping and dancing just before the hour and a half it took for joss stone’s soundman to be satisfied with the feedback on the speakers that faced the artists, was a great "discovery". it is a testament to the quality of the people attending malasimbo that no one started throwing bottles and making hoots during that interminable wait. instead, pocket-sized parties were springing from elsewhere. artists from boracay carrying an assortment of congos were drumming beats to amuse themselves and everyone else who had gotten weary because there was this perfectionist with such a demanding ear. later on, an inebriated caucasian man was prancing around the lawn waving around a branch of a coconut tree. somewhere along the way, he kissed a woman on the lips, probably a stranger to him, and they both obliged an encore. 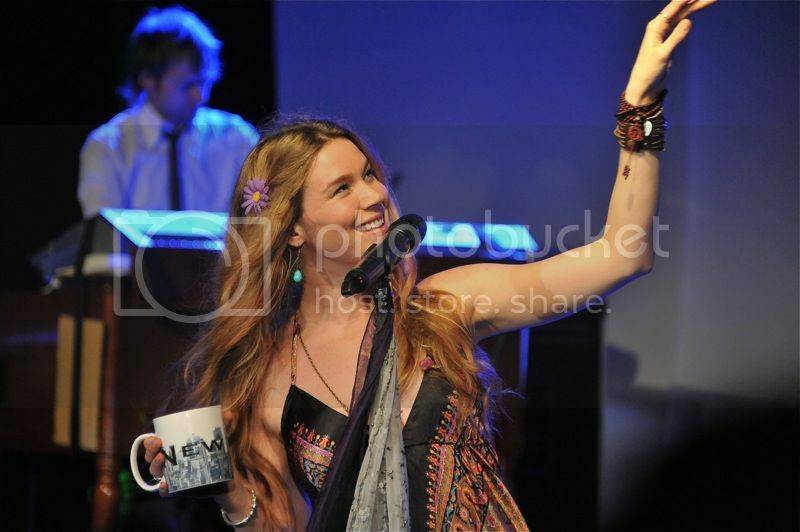 joss stone climbed the stage wearing a silk printed dress that flowed beautifully as the sweet mountain air blew kisses to her pretty face. she had a faux violet flower pinned to her hair, and on occasion, she turned around to drink tea she poured from a small thermos into a giant mug. she sang beautifully. sometimes, she even sang her conversation with the audience. she spoke honestly about a boy she no longer talks about, a song she no longer sings because it reminds her of a boy she once knew. she nearly ran off the stage when an insect (that come naturally with the outdoor venue) magically landed on her chest (i screamed “i want to be that bug” during this time), and only resumed to grab the mic saying, “we have to be mature about this”. she sang many new songs i have not heard since my first iPod bowed and i lost all the music that was in there, but i was reminded again and again of her soulful voice, which articulates so many things, even when she pauses to breathe. from the beginning of her long set i’ve been begging joss to sing the one song that’s spoken to me like a friend who’s known me for far too long, and she obliged during her encore, closing out with “right to be wrong”. 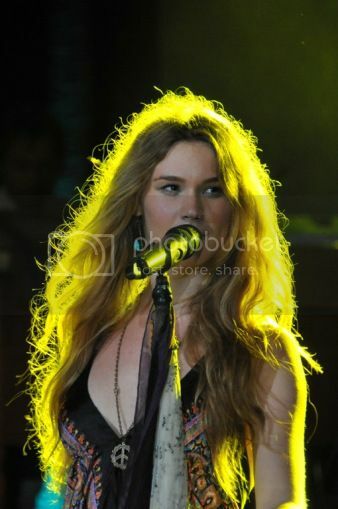 i’m not sure if i can consider myself a joss stone fanatic, but i felt the urge to cry when i finally laid eyes on her. i just could not believe she was 15 feet away from me. i like only a few artists, and it is this same feeling that came over me when i first saw jason mraz, james morrison, and stephen speaks in person. i now realize that i may have had a crush on her from 9 years ago, and it was somehow revived when she appeared on stage. the malasimbo experience truly is something unique and special. one takes home a memory of a wonderful world, beautiful people, great music, and expensive beers.